This blog has almost fallen in to the winter-sleep but the reason is that I finally got a job, after 15 months of being without. I am sooo happy for my new job and loves it but at the same time I am very tired because of that long time, I have been home. I could spend hours on my blogs, both this one and my swedish blog and now I don´t have that much time. Christmas is close and most of my friends are so busy, buying christmas-stuff, making food and baking cakes. All Christmas in Sweden is about food and christmasgifts and this is one of the hardes holidays of the whole year, when you are a sugaraddict - where ever you are or look there is lots of triggers for sugaraddiction. 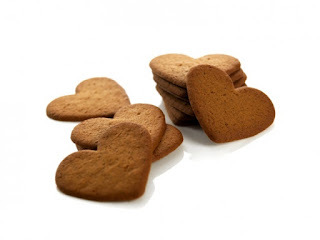 We all have "soft spots" what is triggering us and one of those for me is swedish gingerbread-cookies. You can buy them everywhere and there is shops who put boxes of gingerbread-cookies by the cash registers, so when you pay, you get that smell right up in your nose...and yes, it smells soooo good! I try to put my nose in the other direction and not even look down in to the box...what I don´t see, dosen´t exist! That´s how I try to survive the cravings. I don´t have any physical craving but in my mind, there will always be one. Every Christmas has been a struggel before I started my life as 100% dedicated to Low Carb High Fat. Now it makes it easier but there is always situations wich is harder to deal with then others, off course. Don´t fool yourself to think that you CAN eat all that yummie stuff for a week and then stop! But that is so true: You think you can treat yourself a week between Christmas and New Year but when that week is passed, you can´t stop anyway. I don´t even make substitutes for my cravings. Yes, there is recepies for example of gingerbread-cookies without starch, sugar and gluten but I CAN NOT BAKE THEM! Why? Because it is a trigger for me! So, make a list of your Christmastriggers and decide to not fool yourself and make substitutes, if you are not 100% sure of not continue eating the real stuff after. The only treat I will make for Christmas is choclad truffles with different tastes, as vanilla or minth. I use 90% cocoa wich is the strongest cocoa-level you can make treats of. 3/4 deciliters of full fat cream, wich you whip in to the melted choclate together with a tablespoon salted butter. You can use some kind of sweetening, like Stevia. Add also some flavoring like minth, whiskey, vanillapowder or what you like or just as it is. Put it in the fridge for an hour, take it out and role them to small balls and and role them in pure cocoapowder or coconutrasps. Preheat oven to 200 degrees. Melt the butter in a saucepan. Grease a springform tin with melted butter. Chop the chocolate finely and add the chocolate into the melted butter. Stir constantly and let the chocolate melt on low heat. Beat eggs until fluffy with sukrin in a bowl. 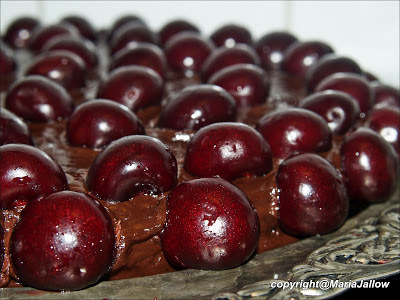 Add the chocolate mixture into a springform (20-23 cm) and bake in the oven for 20-25 minutes. Let the cake stand and cool, preferably in the fridge. Pour the cream into a saucepan and break down the chocolate. Heat over very low heat. Stir constantly. Pull the pan when everything melted and let cool. The icing will become thick. Remove the cake from the mold and spread the icing over the cake. As you see I added cherrie-halfs on my cake but for christmas there might be other options like, coconut rasps, other berries or just as it is! 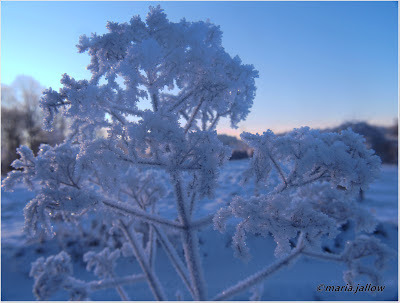 A picture taken last saturday where I live.